The university recently completed major steps toward implementation of a new student conduct process that greatly expands student rights while incorporating best conduct practices nationally. First, during the summer an internal administrative team completed its review of 32 recommendations for revising the conduct process submitted by WSU’s Student Conduct Process Task Force in January. The team, which included officials from the Division of Student Affairs, ensured the recommendations could be easily implemented and that they aligned with national best practices, federal and state regulations, and statutory requirements. WSU President Kirk Schulz then reviewed the results. Most of the task force’s recommendations were either accepted or expanded. A few were modified and a few were declined for practical reasons or due to statutory requirements. 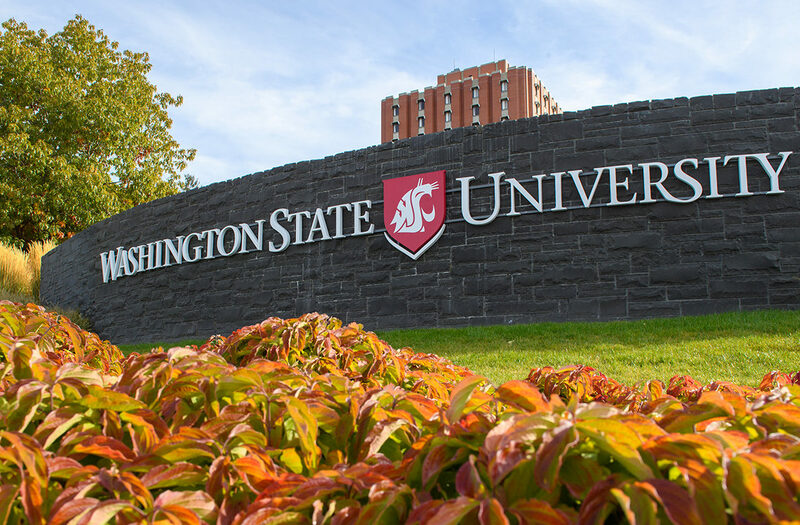 Earlier this month, the WSU division of the state Office of the Attorney General drafted revisions to the Washington Administrative Code (WAC), where the standards of conduct are codified, to reflect the updated recommendations. The rights and responsibilities of students in conduct matters, the composition and training of conduct board members, and the creation of a new process that ensures periodic review of WSU’s community standards are among the focal areas of the new rules. The university’s Board of Regents must approve the proposed WAC revisions before the new rules take effect, which is expected to occur at the beginning of the spring 2019 semester. An overview of the new standards was presented to the Regents last Thursday during the board’s meeting at WSU Vancouver. The complete draft of the proposed WAC rules will be posted online on October 17. The posting will include a link for comment and provide details about the public hearing. The Regents will consider the new rules for approval at their regular meeting in Pullman on November 16. As part of the rule-making process, a public hearing on the revised WAC wording will be held in early November. Comments submitted will be shared with the Regents. Along with the rewritten WAC, student affairs staff plan to implement a comprehensive communication campaign to inform students of their expanded rights and responsibilities. They will also develop sanctioning guidelines to help students understand the possible sanctions that could occur when community standards violations occur, and implement contemporary training options that reflect the needs of current and future students. Students will be presumed “not responsible” when a conduct violation is alleged. The right of students not to self-incriminate is embedded throughout the conduct process. The processes that take place during the information and hearing stages of conduct cases are more clearly defined. Before a hearing occurs, every student charged with a conduct violation will be invited to participate in an information-only session focused on explaining their rights and responsibilities. Students will have access to an advisor throughout the conduct process. The university will make the conduct process more transparent, in part by providing more information to students through enhanced print and digital communications, including a student handbook. The university’s good Samaritan policy was codified to help encourage students to seek medical assistance for others. Both the Conduct Board and the Appeals Board will be comprised of a majority of students. Board members will be chosen through an application process managed by Gonzales’ office and appointed by the president. Term limits for board members have been added. The training and education of board members and university conduct officers is expanded and codified to address topics such as cultural competency, implicit bias, conflict of interest, bias against groups, sexual assault/gender-based bias, and due process. Students involved in hearings will have the right to request removal of a conduct board or appeals board member for cause. Gonzales will convene a Community Standards Advisory Board comprised of faculty, staff, and students to analyze trends and provide feedback about the community standards process. Formal review of the community standards process and Code of Student Conduct will occur every three years, with input and feedback provided by student governing bodies. A report on community standards will published annually and made available to the university community. Coordinating the meeting schedule of large-size boards impedes the timely hearing of cases. So membership of the conduct board and the appeal board was set at five and three members, respectively. The task force recommended specific language regarding the admissibility of evidence regarding sexual history. The recommendation was not incorporated in the WAC because doing so would not conform with the Administrative Procedures Act, which requires the use of rules of evidence as guidelines. The university declined to implement a preemptory challenge (removal without cause) in cases because it re-introduces the potential for bias and partiality. The proposed WAC eliminates bias and partiality throughout its processes. (a) The organization or its officers should have foreseen that behavior constituting a violation was likely to occur yet failed to take reasonable precautions against such behavior. (b) The policy or practice of the organization was responsible for a violation. (c) The behavior constituting the violation was committed by, condoned by, or involved a significant number of the organization’s officers, members, or guests. Please see President Schulz’s memorandum to the Student Conduct Process Task Force and the presentation made to the Board of Regents on the proposed WAC changes.